We made it, kids. It’s finally Friday. When we started out the week, it felt like Friday was a million years away, but now it’s here, and I’m in it. And guess what kids. I’m making a cocktail. Drinking gin makes me feel like a grown up for some reason. The first time I tried it, I was in my mid 20’s and with two older friends who I thought were super cool. I did not enjoy the gin at the time, and it made me feel distinctly unsophisticated. So now, when I drink it and actually enjoy it, it’s like I’ve finally left my girlish days behind. 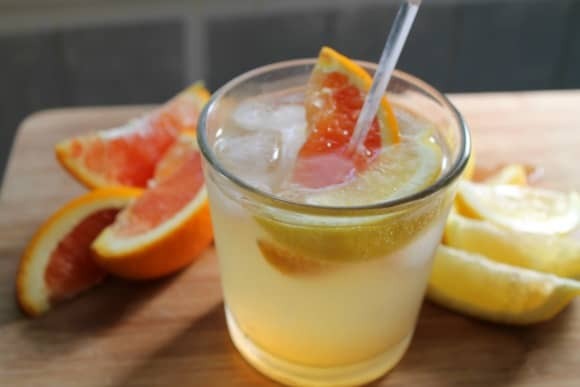 Of course, we’re still adding some sweetness to this Citrus Gin Fizz with fresh juice, agave syrup, and of course, it can’t be fizz without Club Soda. You can use bottled juice if you like, and certainly go that route if you already have it on hand. That’s what I used the first time around, and it was still awesome. But if you want to really get in to Friday, I suggest buying fresh citrus. Fresh squeeze your juice and add some fruit slices to your glass. It adds to the magic. I promise. Fridays only come around once a week. You need to celebrate them. Make yourself a lovely cocktail, and get to living. 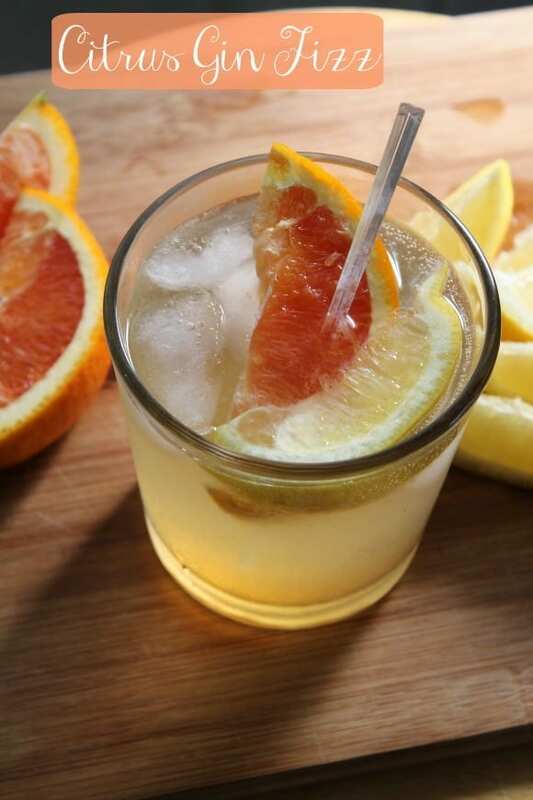 Citrus Gin Fizz is sweet and bright and wonderfully sunny. Stir together gin, juices, and agave syrup. Add ice and top up your glass with club soda. 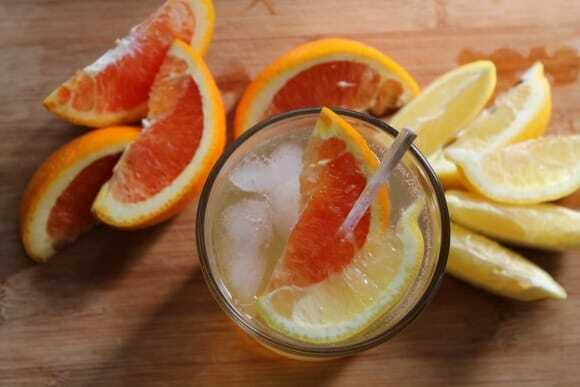 Garnish with orange and lemon slices if you like. Fresh squeezed juice is awesome, but bottled is great, too. Do what's easiest for you.